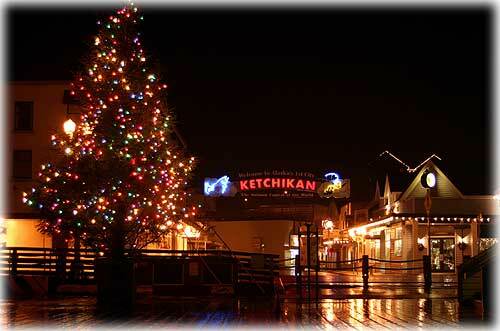 Ketchikan's newly decorated Christmas tree brightens up the night with its colorful lights. The tree, photographed Thursday night, was donated by the Cape Fox Corporation. Submit your photos for publication to photos@sitnews.org.